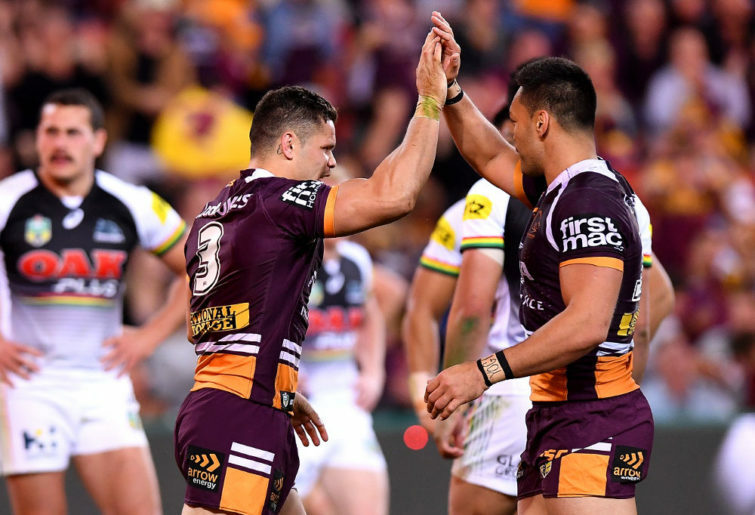 The 2019 NRL season is just around the corner with the long and tedious off-season drawing to a close, and that means it’s time to reveal The Roar‘s top 50 players in the NRL. In a five-part series, we will count down the 50 finest players in the game today. Given the magnitude of that task, we’ve got some of the best minds in the game to give their thoughts: Mary Konstantopoulos, Stuart McLennan, AJ Mithen and Tim Gore. The five-person panel (myself included) was asked to vote for our 60 best players, with points assigned to each depending on their position: a first-placed vote earned a player 60 votes, all the way down to a single one for being named at number 60. Then it was a matter of ranking everyone based on the number of points they earned. If two or more players were tied, whoever appeared in the most lists was ranked higher. If that was even, the player who received the highest individual vote was ranked higher. If that was still tied – as happened in one case – then it went down to their second-highest placing. We’ll be revealing our top 50 in ten-player instalments this week, beginning with 50-41 today. Whitehead is one of the best English players in the game (although not the best at his club), and has fast turned into a reliable second rower at the Raiders. With a dangerous running game and a strong presence in defence on the edge, Whitehead has quickly stamped his authority as a starter for both the Raiders and his country. If he can maintain a nearly 90 per cent tackle efficiency on almost 30 per game, there is no reason he won’t move further up this list. Last year, he ran in ten tries in his 24 games while finishing the year with almost 100 metres per game. Dane Gagai is one player who needs to have a much improved 2019. It’s not as if he was bad over the last 12 months – far from it – but he wasn’t at the level when we saw him set the world alight at the Knights. 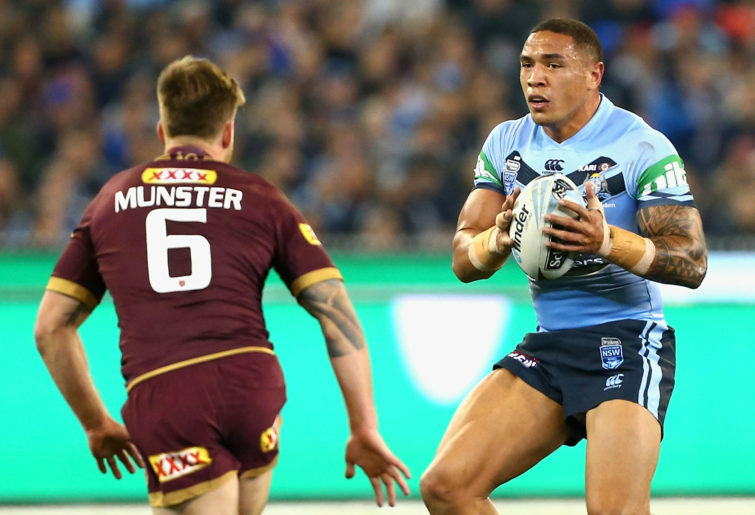 That might be the result of finding himself in a stronger all-round side and not standing out as much, but Gagai still had errors in his game, and his Maroons spot didn’t seem quite as secure as it once was leading into Origin 2018. Still, he has the potential to be one of the best outside backs in the game. Fusitu’a is just about the best winger in the game. This communal list won’t reflect that personal opinion, but I’ve previously made my thoughts clear on Fusitu’a and his running, finishing and defensive ability. 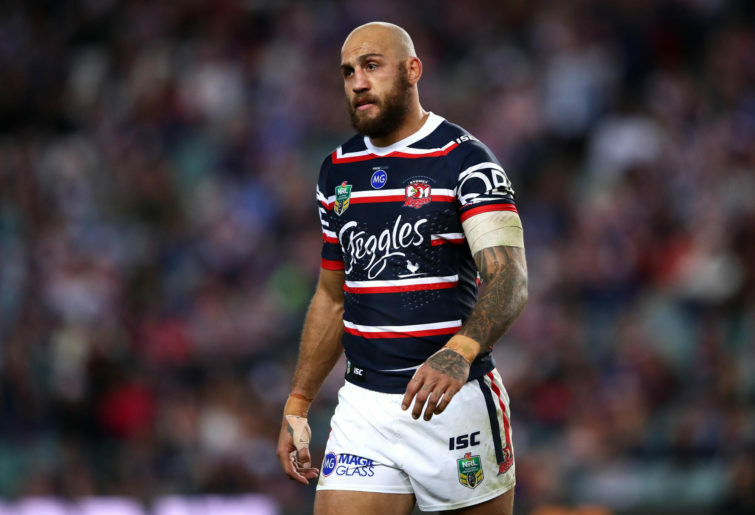 I’m surprised he isn’t slightly further up the list, but his try-scoring prowess and power on the wing make him a tough defensive assignment for any opposition, and he will be a dangerous asset for the Roosters this year. Like Fusitu’a, I’m surprised Reynolds isn’t further up the list. 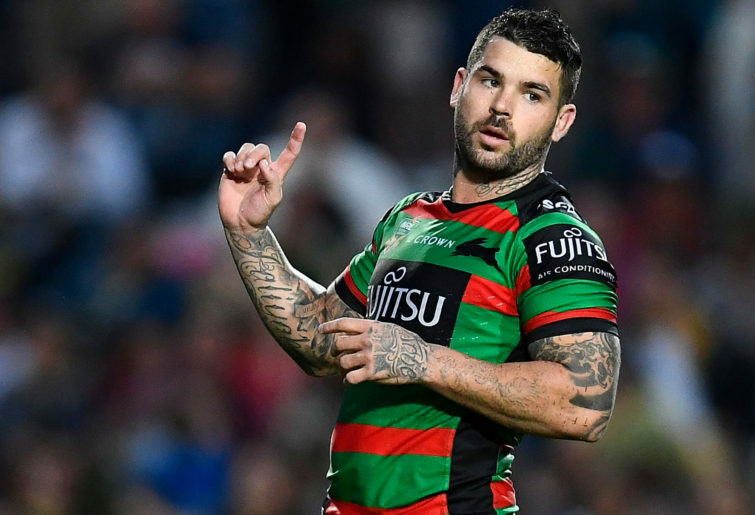 He was absolutely outstanding in 2018 and while Souths were good right across the park, it was Reynolds who steered them around from halfback. His kicking game has been frequently talked about; when it’s good, it’s one of the best in the game. Reynolds has a freakish ability to land the ball on a five-cent piece and there can be no doubting his standing as a top 50 player. What impressed me (and as a Dragons fan, hurt me) was his calmness under pressure last year. His field goals, penalties and good decisions in that semi-final were those of a premiership-quality playmaker. There were plenty of eyebrows raised when I left Ferguson out of my own top 50 at the end of last season – a perfectly fair criticism. It wasn’t an oversight at the time, but my opinions on the former Roosters winger have certainly changed since then. If you’re looking for important players for the 2019 season, then the Eels recruit is right up there, because he is going to need to take his game up another level over the next 12 months. Ferguson’s running game is his main strength, especially getting sets off to a good start in his own team’s red zone, but his defence will need to continue improving if he’s to move up this list. One of the hardest ball-runners in the competition, Frizell is universally loved by Dragons fans and, come Origin time, Blues fans. A real hard nut with an ability to play in the middle as well, he was quiet in patches last year, but is an outstanding, rep-quality player. 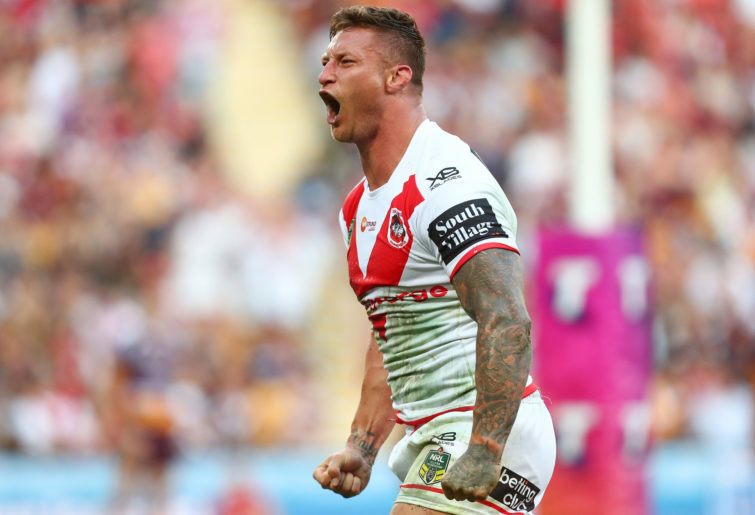 If there’s one man who goes harder than Frizell on his day in attack and defence, it’s Tariq Sims. He had tries to show for it in what was a breakout 2018, but it’s the pressure he put on opposition halves which won the Dragons more games than anything, as well as a dogged determination to break the line or make something happen at all costs. Sure, he gets some fans offside with the way he plays, but there is a lot to like about Sims. A maiden Blues jersey and elimination-final hat-trick were deserved returns in what was a career-best year. There’s no question that Walker is one of the most exciting halves in the game. He finally kicked into gear in 2018, and was part of a damaging Rabbitohs left edge which really had all the answers to every defence they came up against. 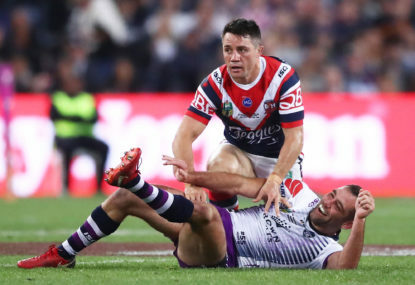 Sure, playing with Reynolds, John Sutton, Greg Inglis, Alex Johnston and Robert Jennings helped him, but for a lot of the time, Walker was still the orchestrator of that attack. His passing game and vision to get the ball out wide and get it out there quickly was second to none at Redfern, as was his running game, which presented plenty of opportunities. After a State of Origin debut last year, Roberts will be looking to take his game up another level during the next 12 months. 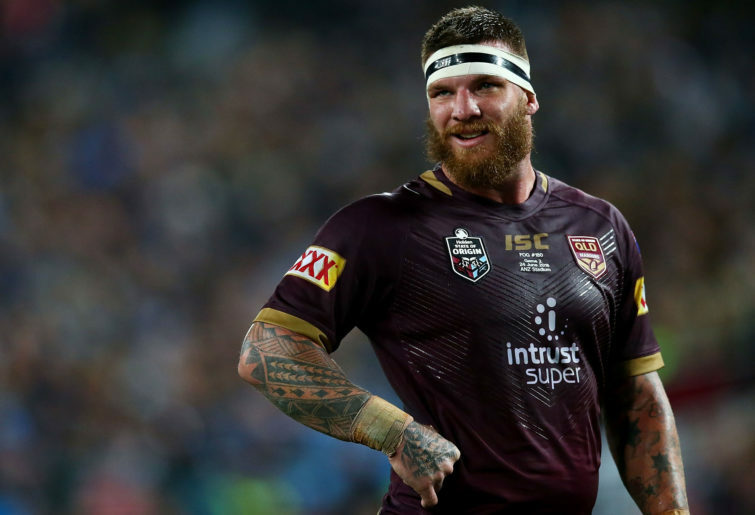 The Broncos centre still has a lot to prove, and while his attack and pace out wide are blistering, there are still question marks over his defence – some of which he slammed the door shut on playing Origin. McGuire’s move to the Cowboys is an intriguing one. He is one of those players who will give 100 per cent every week on the field, with a consistent game featuring hard runs and big tackles. Every team needs a forward like him if they want to win the competition. His importance will be diminished a little bit in a strong Cowboys pack, but he still deserves his place. Be sure to check back in tomorrow when Mary Konstantoplous runs through players 40 to 31.